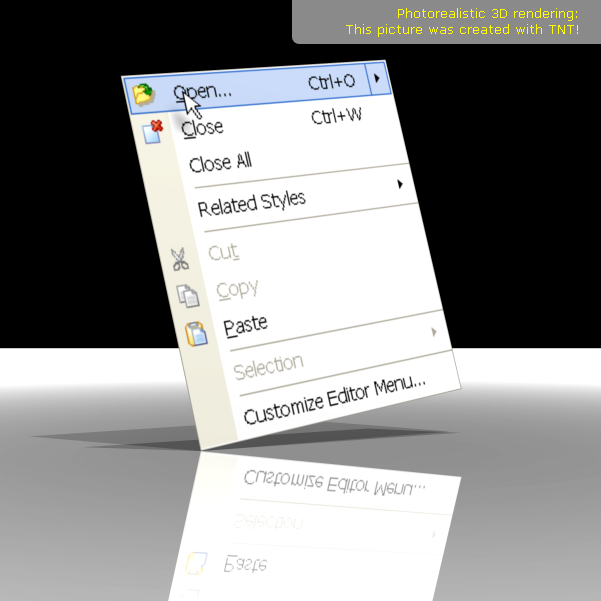 TNT is the all-in-one screen capture and advanced image editing utility - wrapped into one tool! With many easy-to-use special effects TNT elevates your productivity to a new level. It's the details that make a screenshot look great. The cursor icon that makes the image live. A photorealistic soft shadow, which emphasizes the details. Bubbles, arrows and text that explain a particular feature. One of the most valuable tools I have. I could not live without TNT Screen Capture, Winzip and Acrobat on my desktop. Are you curious about the results of TNT Screen Capture? Download the free TNT Screen Capture tool! Copyright © 2012 EC Software GmbH, all rights reserved. Updated October 21, 2011.